Every day we come across so many app updates. And now, we yet have another upgrade for the Facebook-owned WhatsApp. 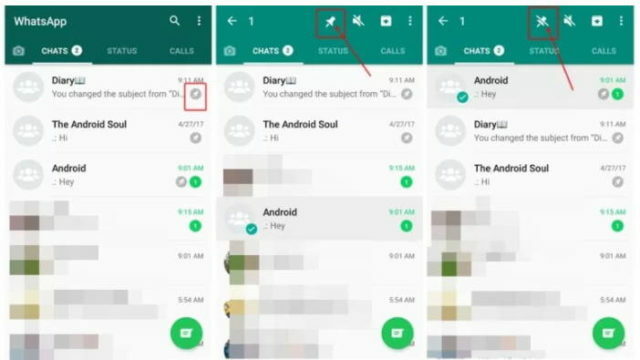 Yes, WhatsApp is ready to unveil another natty feature for users of Android soon. In actual fact, the new pinning chat feature is by now available for the Beta members of the app on Android. This feature makes it simpler to search for a group chat or an individual for the user. 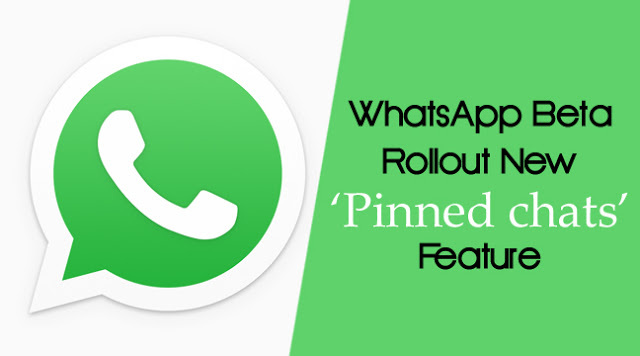 It is available in WhatsApp Beta on the 2.17.163 or 2.17.162 Android version. It enables the users to choose up to 3 chats, group chats as well as individual, on the list’s top so that these chats don’t get lost in the scrolling. The user just needs to long press on a chat and then click on the “pin icon” present on the top bar in order to pin a chat. The pin icon is present along with the other icons such as mute it, archive it, and delete the chat. The pinned chats will always remain on the list’s top even if the user is chatting on a distinct window. If the users have to unpin a chat, they just need to follow the same method. Once again long press the chat to be unpinned and select the pin icon, this will unpin the chat. If anyone is eager to use this feature, they can just jump to the website of the company and become the part of the WhatsApp beta program. Apart from this, the APKfile can also be downloaded from the APK Mirror website. At present, this feature is available in the Beta mode only but will be soon introduced for the non-beta users. Also recently, WhatsApp has said to be validating another feature, which is said to make it simpler for users to notify their contacts if the user has changed his/her primary number. As the contact numbers are linked to the WhatsApp account, it is not possible to know when a contact changes their number. Possibly, soon WhatsApp will be coming up with a feature that notifies the contacts about the number change to the contact automatically, so the user doesn’t need to do much. So, what is your opinion about this new pinning chat feature?